Bridgeport is located on NW Marshall between 11th and 12th on the street car line. The east side units overlook Tanner Springs Park, the Pearl District's second new park. Bridgeport consists of two buildings separated by a nicely landscaped courtyard. It contains 124 traditional style condos ranging from 656 to 2190 sqft. 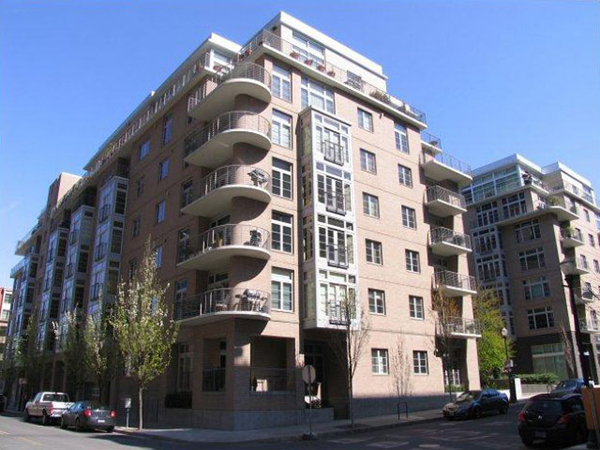 Amenities include secured parking, secured entry, in-unit laundry hookups, and the landscaped courtyard. There is 1 listing found for Bridgeport Condominiums.